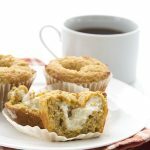 These pumpkin cream cheese muffins make the perfect keto breakfast or snack! This popular low carb pumpkin muffins recipe has been updated with an instructional video. It’s time to give one of my most popular low carb muffins recipe a little update. It’s almost pumpkin season and I am eager to get going on it. Pumpkin recipes are my favourite way to kick off fall! Okay, so it’s not yet September but I still feel an early pumpkin recipe is in order. Plus…the kids went back to school today so it’s time for a proper keto fall celebration, wouldn’t you say? 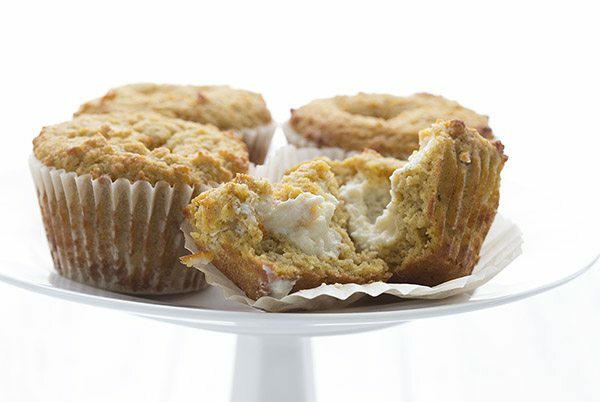 And these sugar-free, gluten-free pumpkin cream cheese muffins are perfect with your morning coffee. Sip and savor the freedom of a child-free house…that’s what I am doing right now. The only problem with posting such an early pumpkin recipe is actually finding pumpkin puree! I had a few cans of pumpkin puree in my pantry so I was good there. But…no cute little decorative pumpkins to show in my photos. Or my how-to video. No grocery stores appear to be carrying them just yet. Somehow the shots just look incomplete to my eyes. But if you can, imagine falling leaves and chilly mornings, kids grabbing their bags and heading off to school, and little mini orange gourds in the background of these photos. I may have to make them again, once those mini pumpkins and gourds are available in stores, just so I can get the photos I want! I had such fun making the video for these pumpkin cream cheese muffins. And I simplified the recipe too, because I found a few ways to cut out steps and make them even easier. I also cut down the whole recipe so it makes a proper dozen, instead of 15. 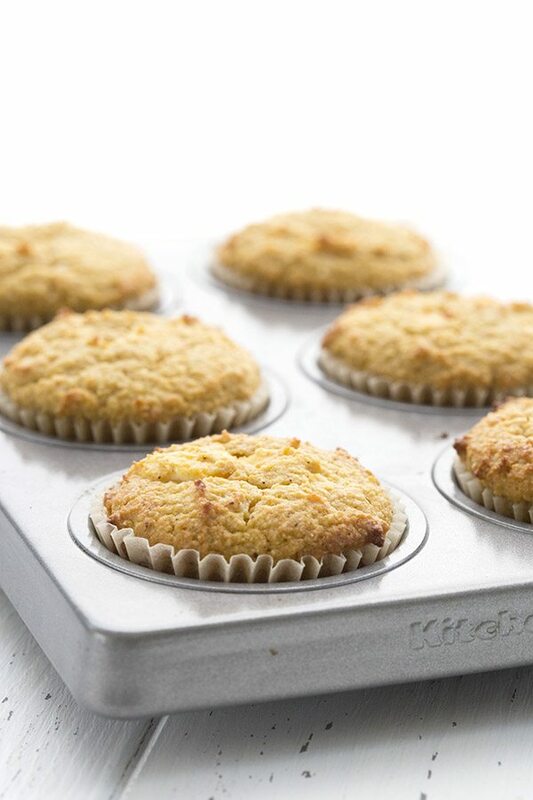 While sometimes more is good, it’s not always convenient to have to make more than fits in a regular muffin pan! Low carb Pumpkin Cream Cheese Muffins. 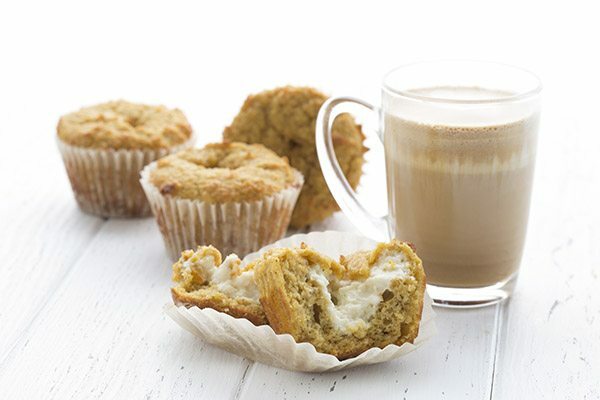 Move over, Starbucks, there's a healthier pumpkin muffin in town. 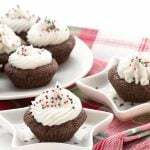 Beat cream cheese with powdered sweetener, cream and vanilla extract until smooth. Set aside. In a medium bowl, whisk together the almond flour, sweetener, protein powder, baking powder, pumpkin pie spice, and salt. Add the eggs, pumpkin puree, melted butter, almond milk, and vanilla extract. Mix until well combined. Bake 23 to 25 minutes, or until tops are set and edges are just browned. Let cool in pan 15 minutes before transferring to a wire rack to cool completely. 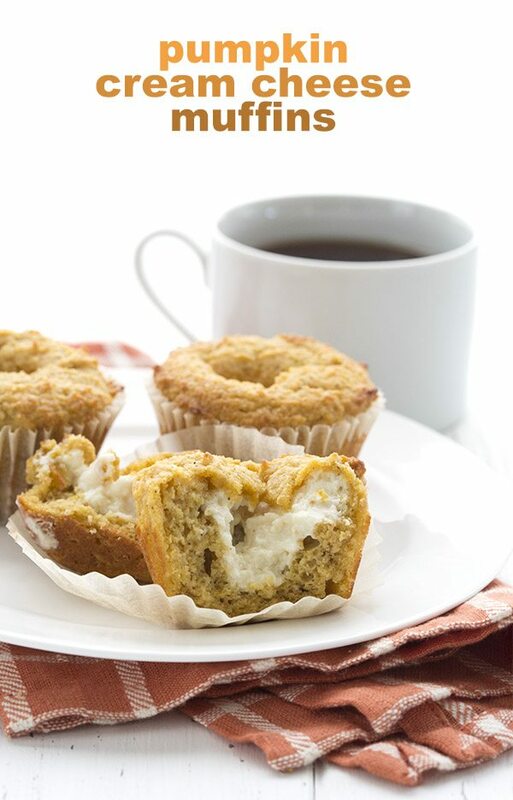 The old pumpkin cream cheese muffins recipe had you draining the pumpkin puree on paper towels. I find you can skip this step altogether as long as your pumpkin puree is thick and isn’t watery. I used Trader Joe’s Organic pumpkin and found I didn’t need to drain it at all. Instead of beating softened butter with the sweetener and eggs, I just stirred in melted butter, which definitely saves time. And I did away with that candied pepitas (pumpkin seeds) because the reality is that these low carb pumpkin muffins are delicious enough without them! Now, don’t be alarmed if your pumpkin muffins rise beautifully and then sink a bit as they cool. This appears to be the nature of the beast with cream cheese stuffed goodies. They create a little sink hole as the cream cheese expands and then contracts. It doesn’t matter much…these keto muffins taste as delicious as ever. Like fall in muffin form. How can you beat that? Can’t get enough pumpkin? Try these delicious recipes. Not all are low carb but an easy change in sweetener and you’re good to go! Pumpkin Cream Cheese Dip from Reluctant Entertainer, Healthy Pumpkin Protein Smoothie from Bless This Mess, Pumpkin Spice Latte Nutella Muffins from Texanerin Baking. I am so sorry about your husbands injury. Prayers for a quick recovery. I love the combination of pumpkin and cream cheese. Great muffins. Thanks, Lisa. Scary times but I am so glad he’s okay. Blessings to you & Tim. He will be nourished back to health! I hope his surgery goes well this morning! Thinking of you and your family! And these muffins look fantastic, just as good as the originals! Prayers for your husband, you and your family. I wish your husband a speedy recovery and a lot of strenght to all of you and your family. Don’t worry about us/the blog, your priority is with your family now ! So sorry to hear about your husband’s accident and very glad it wasn’t worse. What a nightmare. if i don’t have access to pumpkin puree, any idea how much fresh pumpkin to use to make puree? Hugs, hugs and lots more hugs. All my love and best wishes for Tim and you. Prayers and healing thoughts to your husband and your family!! Carolyn you rock – thank you for all you give to all of us – and please take the time to give to yourself also!!! Those muffins are what I call a Makeover!! Trader Joe’s version has 320 calories – 15g fat 42g of carb – 23 g of sugar and 520 mg of sodium and 4g protein ……..
Wow. Mine are smaller, for sure, but wow. Those are some crazy numbers for one muffin! I don’t know you, but feel as though I do. You add sugar and spice to my days. When you wrote about your husband I felt a stab of anxiety and heartache for you as I know how facing mortality of the one you love brings up a multitude of emotions. That being said, I feel that your love of life and your ability to make all things sweeter will carry you through. And when those things falter you have friends and family for reinforcements. My thoughts are with you, and don’t forget to take good care of yourself. Thank you so much, Gayle. Oh NO!! Thank goodness he’s ok and prayers for a quick recovery!!! Oh, SO sorry about your honeybunch. Don’t worry about us; we’ve got tons of your back recipes to go through, so do what you must, and know we’re keeping the prayers going. Thanks for more pumpkin – this sounds FAB. Presently trying to make over carrot cake muffins someone gave me… ☺ It’s nice to have this one already done! Praying that your husband’s surgery goes as planned. Just concentrate on your added commitments and don’t worry about us. As Tea said, we have a lot of your recipes to work with, and you know we will be here when you get back. Take care of yourself, because, now the burden will be on you for awhile. 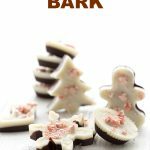 Made these this morning – they are wonderful! Didn’t have any pepitas on hand (who has pepitas on hand?? :), so no topping, but they were still rich and delicious. I hope Tim continues to mend, and it’s good that he is your priority. During this time, why not do some re-runs of your recipes? There are lots of them that I’m sure I’ve missed! Hugs to you and all the best! Haha, I always have pepitas on hand, but that’s because it’s taken me 2 years to finish one package (I keep them in the freezer). 🙂 Thanks for the well-wishes. Sending up prayers for your husband and your whole family. I can’t begin to imagine how terrifying that must have been. Don’t forget, your whole community is here to support you in any way we can – just ask!! Thoughts and prayers for your husband’s healing and recovery, and for you and your family’s strength during this time. I was run over by a car when I was pregnant with my son, and it was frightening to say the least. My DH had a horrible time of it too, as one would imagine, but we are stronger for it, and my son is big and strong despite the surgeries (ankle and heart) and stress. Wow, when you were pregnant! How scary! I was hit by a car when I was 12, and suffered a broken collarbone. So I guess my husband and I share that in common now. Oh my gosh! Speedy recovery and SO glad it wasn’t worse! Maybe this will give me a chance to catch up on all of your recipes I have marked, “to try”! Oh Carolyn, my heart goes out to you in this time of distress! I pray that that your husband’s time in the hospital is successful and short. And I have no doubt in my mind that the attention of you and your children will speed his recovery at home. Will definitely make the muffins for Saturday Bible study and offer ongoing prayers to your and your family for a total recovery. I made these tonight and they were fabulous. I only had chocolate whey powder so I used that. Couldn’t even taste the chocolate so it worked fine. My kids said they would eat low carb if they could eat these every day. Wishing your hubby a speedy recovery! Wow, I totally would have thought that the chocolate whey powder would come through in flavour. Glad they worked out! Hope your nephew recovers well! Your husband can’t help but get better with all the care that you put into everything that you do. Best wishes for a super speedy recovery and don’t forget to take care of yourself, too! Holy, Carolyn.. Really hope everything goes well with your husband’s surgery and recovery. You’ll have your hands full for the next little while but take care of yourself and your family and the blog will wait! If you care for your hubby like you do for the rest of us with your amazing recipes, he’ll be better in no time! My thoughts and prayers are with you both, and don’t forget to take care of YOU too! hugs! Boy, I broke my ankle badly a few years ago, and while it was nothing as traumatic as being hit by a car, it still turned my life upsidedown in an instant. You have my sympathy and best wishes. It’s quite a slog coming back from this sort of surgery, and your husband is lucky to have such a loving family to help him through it. Don’t worry about us … we can mine your archives for a good long while. Take care of your family. So sorry to hear about your husband! I hope he has a quick recovery! I was happy to see that your husband came out of surgery okay. I’ll be thinking of you and your family the next few weeks and I hope Tim will recover quickly. Thanks so much, Erin. Even the littlest things help! we will be fine..thanks for sharing what is going on with you. this is a good time to see if any of us want to share recipes online while you all manage life at your house. i would be happy to contribute.. take care of yourself, too. Sure, Jillian! I once put out a call for recipes from readers but I didn’t get much response. What do you have that you’d like to share? Thanks so much for this great looking recipe! Prayers for all of you as your husband goes through surgery and recovery. So glad it was not worse. In 2006, I slipped and fell on a hillside dirt trail (I was headed downhill). Unfortunately, I tucked my left leg under me and landed quite hard on it, breaking the tibia and badly dislocating the ankle. After a four-hour surgery, the doc told me my ankle muscles were like spaghetti and that he had placed a metal plate in the ankle. Full recover took some time, but my leg is fine now. He offered to remove the metal plate, but that involved another surgery, so I declined. I lost some weight recently through a low carb life-style change and noticed that the plate is a little more pronounced. Otherwise, it’s all fine–never had any pain, no movement restrictions and I don’t set off metal detectors. sounds like a very similar surgery! Tim has a plate and several screws, along with some pins to keep the tibia and fibula together for now, since the ligaments were so badly damaged by the dislocation. It’s good to hear you are all healed. Now that you mention it, I had pins, also. His sounds more complex than my injury, but he’s young and will likely heal quickly and completely. Well, that’s what we’re praying for, isn’t it? Best to you all through the healing time…And thanks for sharing so much of yourself and your life, along with all the wonderful, nourishing food! Sorry to hear about your husband, and glad it wasn’t worse!! Your family is the most important before anything else, so concentrate on that! This recipe looks amazing, I’m going to make it in the morning. Does anybody know if I can use Splenda instead of erythritol and just use whole milk instead of almond milk? Yes to the whole milk. I am sure splenda would be fine too, but I don’t really work with it so I can’t say for sure. I just made these and they are really, really, really, really, really, good! I used Splenda and cream for the almond milk and it turned out just great. Excellent as written, but next time I’m going to use more spice because I love heartburn. 🙂 I also filled the cups up to the top so got 12 muffins exactly. Thank you for this recipe! I’m glad your husband is doing well, too. So sorry to hear about what your husband’s having to go through, Carolyn! You all are in my thoughts! Love these muffins. A very comforting breakfast or snack! So sorry to hear of your husband’s accident and injury. Prayers for a full and good recovery. The muffins look soooo good! Do you think that they would freeze well? I would like to be able to make a batch, freeze, and then pull one out when desired. I know the muffin part would freeze quite well. The cream cheese might change texture a bit, but I think it’s still worth it to have them on hand when you wan them! The flavour would still be delicious. Thank you so much for your response! I think I will try baking and freezing – give it a shot anyway. They just look too good to pass up. so glad to hear he is ok, I can’t even imagine such an experience. The fear, the worry and it sounds extremely painful too. I am thinking pumpkin too but pumpkin bread–just baked a bunch for some customers and you inspired me to take a few pictures. It was so fun meeting you in Seattle and sharing some laughs and a ride with Janelle! Thanks so much, Karen. It was good to meet you too! Oh god, what a terrifying thing to happen. I’m glad that he wasn’t hurt worse and that you have resources to draw on during this stressful time. Wishing a speedy recovery to Tim, and strength and comfort to you and the kids. Thank you SO much for this recipe, especially with what’s going on with your husband and family! Saying a prayer for his speedy recovery and your strength/energy in the interim. I will toast to you with one of these muffins and a cup of coffee when I make them! Never apologize for putting your attention and efforts into your family. Really sorry to hear the news but glad he’s okay and on the mend. Sometimes things happen in life to remind us what we have. Keep calm and carry on smiling (English motto from an English lady). I’ll admit I had to google pepitas – didn’t know what they were (in Canada where the 2nd language is french). 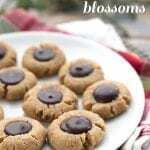 These look delicious, looking forward to making them. Sorry to hear about your husband – hope his surgery went well. I am at the 8 week mark from our low-speed motorcycle accident that broke my husband’s right ankle (both bones, has two titanium plates screwed to the bones now) so I know what you will be going through in the weeks ahead. All the best to you and the rest of your family. 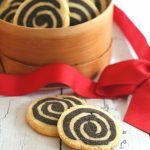 First time poster, but I love your recipes and tell everyone willing to listen about your blog. 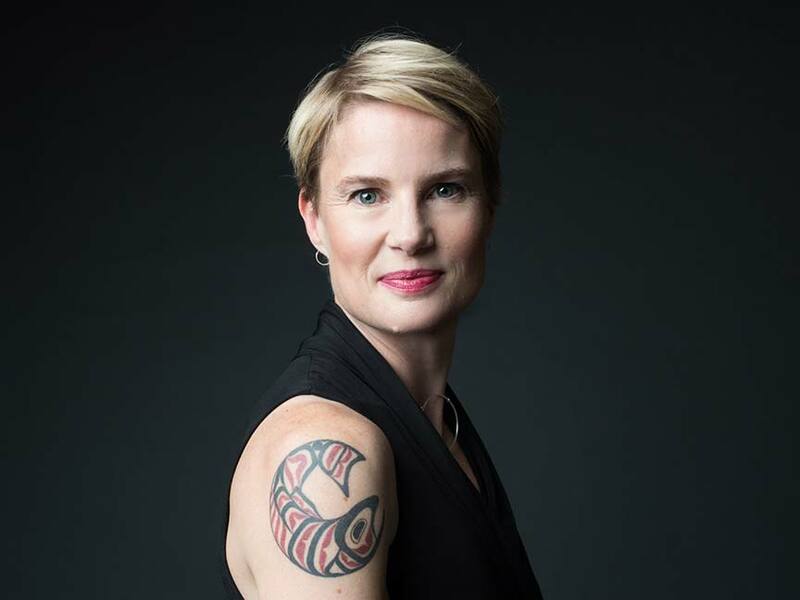 Hi Louise…as it happens, I am Canadian! But I’ve lived in the US since grad school so I’ve gotten used to hearing a lot of Spanish words. I am sorry about your husband’s accident. Tim broke both bones in his lower leg as well, the lower fibula was shattered so it’s all put back with plates and screws too. I am calling him the bionic man. Many wishes for a speedy recovery for your husband. I’ve now run into (sorry) three people who had extensive ankle surgery, they all recovered beautifully, AND all were probably twice as old as your husband! One man said that instead of crutches, he used one of those things where you kneel on something like an elevated scooter-type thing to get around, so non-weight-bearing. Also, isn’t it something how an accident like this suddenly slaps everything into perspective? I love your blog! I’ve made many of the recipes and then have turned around and blabbed and blabbed to family/friends on how they can cut out the sugar in their lives and still be happy/satisfied. AND, I’ve been reading these comments to you and think what a great group of people follow your blog! It’s a win-win all over the place!!! Thanks, Leslie. Yeah, I saw those scooters and thought they might not be a bad idea. My husband is 6’7″ though, so we need to make sure whatever we can can accommodate his height. He has crutches from a previous leg injury so at least we have those! Was it you, Nancy? I couldn’t remember who asked for these! Glad you like them. And now, I don’t know Lynn but I will be sure to check out her blog! You can skip it but it really gives better consistency and better rise. Thanks, Ivonne. I had you in mind when I made this recipe! Prayers for your husband and you! Glad he’s going to be okay though. 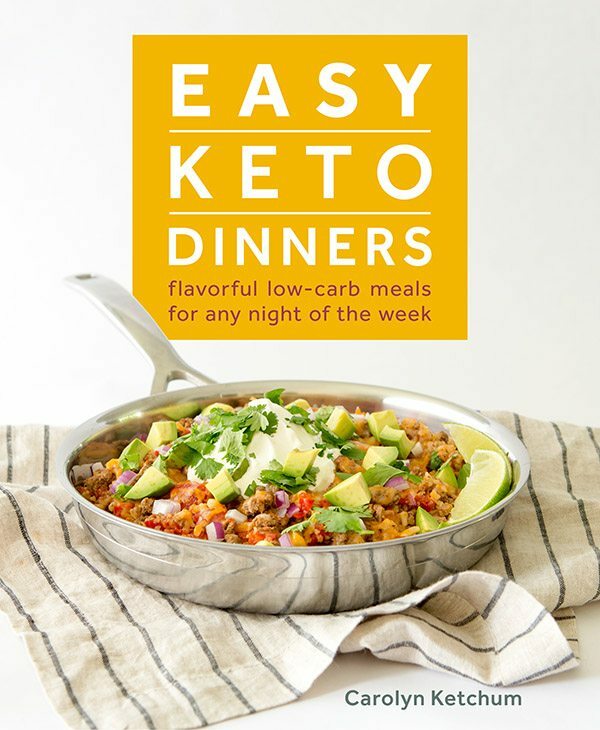 If you need any more suggestions for Makeover Monday, I would love a low carb version of Aussie Bites. Costco got me addicted to these convenient little gems, but lately I’ve been denying myself because of the carbs. There are recipes galore online to make the original version (with oat flour) and I did find one that used a tiny bit of coconut flour but it was still mainly oat flour. You would forever be my hero if you converted this!! Ummmmm….never heard of them. Can you send a link to a good recipe? Then Costco went to using just oat flour so they were gluten free (in theory anyway) – and now for the life of me I can’t find any recipes using just oat flour although I know I’ve seen it before! Hope I haven’t overwhelmed you!! Okay, I will add that to the To-Make list! I just made these right now. I used whole milk instead of almond milk, and Splenda instead of the other sweetener. The cream cheese filling is easily the best part, so I’m glad I used a lot in each muffin. The muffins, on their own, tasted like almonds, from the flour, but combined with the filling….awesome. They got a big thumbs up from myself AND my husband. They’re definitely going on the “when I feel like baking I’ll make…” list! Thanks for the recipe! Hi Michelle, glad you like them. What kind of almond flour did you use? Because the really fine, blanched stuff (like Honeyville) typically doesn’t have much almond flavour when baked. I didn’t, it was Bob’s Red Mill which is what my local store had. Next time I make them I’ll try something else. Bob’s is pretty good, but a little coarser than Honeyville so that may have been part of it. Oh wow! I just came for a pumpkin recipe! So so SO glad your husband is okay. I’m praying for your husband’s recovery, and for you and your family to be strengthened during this time. Thank you so much for this amazing recipe! I haven’t tried Starbucks’ pumpkin cream cheese muffins, but I’ve discovered Whole Foods’ has a yummy version. Knowing I want my family to enjoy a healthier version, I searched your website and found just what I was looking for. I can’t express the sheer joy I felt when I discovered you had just posted this one. An answer to prayer for sure! Yours is one of my favorite blogs!! Thanks for all you do in creating and sharing your wonderful recipes! You’re a blessing to my family for sure! Thanks for your kind words, Mia. I’ve now made these muffins twice and they are so delicious! Thank you so much for the recipe! I hope your husband’s recovering is going smoothly! Thanks, Marianna. He’s doing well! OH MY!!!! Me and my daughter made these last night. Easily the best pumpkin muffin recipe I have made lately. I started my venture of low carb, gluten free, sugar free in march and am so glad I found your site. I have made several of your recipes and am ways happy with the results. Keep up the excellent work. These muffins are delicious!!!! I didn’t have whey protein powder, but did have hemp protein powder, so I used it. I will most definitely make them again and again!! I refrigerated them after cooking because of the cream cheese – is that necessary? They are okay on the counter for a day, but after that, definitely in the fridge. Glad you liked them! made these today and they are *insanely* good. thank you so much!!! These were amazing…. and I even messed up the recipe and they still came out great!! I didn’t have enough almond flour and used extra vanilla whey protein… Still wonderful. Thanks for the wonderful recipes!!! Hi Carolyn. Another great recipe! I left the topping off but that’s okay they are still delicious! I make these for my breakfast. I just pop one in a baggie everyday and take it to work with me. They are super yummy! Thanks. 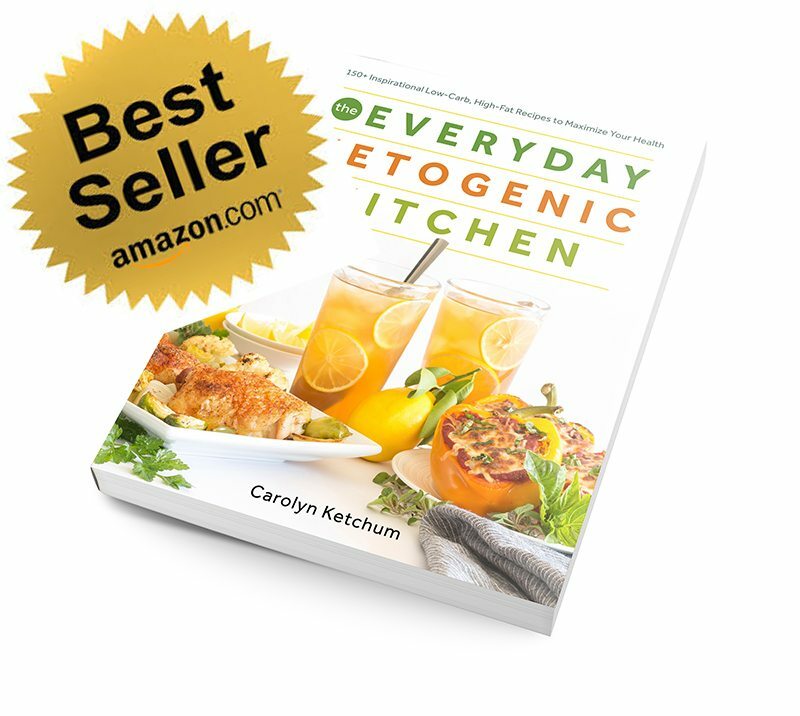 Hi Ms Carolyn 🙂 I’ve just started my foray into a gluten free world due to my recently discovered non celiac gluten sensitivities, but I’ve been low carb for many years. Your website has been a godsend. I made these last night and they were fantastic, out of the 16 I ended up with there are 3 left…husband and kids loved them too! 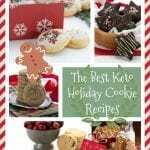 For our families tastes I will add a bit more pumpkin next time and some more erythritol in both the cream cheese filling and pumpkin muffins…but this was just a great, great recipe. Thank you for all you do! I have serious kidney issues and I’m always trying to reduce the protein and phosphorus content of food I eat (in addition to restricting carbs). It makes for a walk through a minefield. I have already had to replace the baking powder (wicked high in phosphorus and pepitas–also very high). What’s left is to ask you about 2 ingredients in this: eggs and whey powder. Egg whites are low in phosph. but the yolks are high. And whey protein is also high. Could the whole eggs be replaced with just the whites? Is there something that can sub for the whey powder? Since I don’t know exactly what its function is, I can’t answer the question for myself. Thank you for all your great recipes. I wish I weren’t so limited in what I can eat. Hi Marcia…okay, go for 3 egg whites and for the whey powder, you can use either egg white powder (sometimes called meringue powder) or hemp protein (don’t know if that’s lower in phosphorus. For the baking powder, you can sub baking soda and cream of tartar, do you have that? The whey protein is to replace the gluten. Gluten is a protein so adding protein helps things rise and hold their shape properly! Thank you. I do have the baking powder sub. Do you think psyllium could sub for whey? I use it in a lot of other low carb baking to hold things together. There is very little info about hemp on the Internet. What I found says that 100grams is the equivalent of 1 whole egg (in phosph), so that’s not too bad. Would it sub 1:1 for whey? i’ve never used psyllium so I can’t say. But these sink a little in the middle anyway, because of the cream cheese filling. so I say go for it! I agree, it is so nice not to just rely on bacon and eggs in the morning! These are hands-down the best low carb pumpkin muffins of any low carb cooking site. 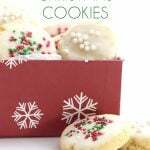 We’ve tried many recipes and these are fabulous! Thanks very much! so impressed caroline!! absolutely delicious and beautiful….. by far my favorite so far! thank you so very much for all you do for all of us! oops! i’m so sorry for misspelling your name carolyn…. everyone always puts an “h” in mine!!! caroline or carolyn, what your real name should be is wonder woman!!! First time making these last night, they were outstanding! My son, who is a chef, said they were the best low carb version of anything we’ve ever made. Also, my first time working with Swerve, which I think is an outstanding sweetener. I finally located it at our Whole Foods that recently opened, and I used a coffee/spice grinder to powder it for the cream cheese filling. 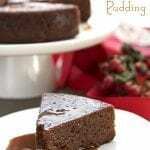 Again, just a really outstanding recipe, thanks so much for sharing! Wow, that is high praise. So glad your son liked them too! I made these yesterday and they are almost gone already! So so so good! I might add in some pumpkin spice or something next time but I’m just starting a low carb diet so I’m probably just still used to super sugary food. These were amazing though. Yes, I think they are. I have used egg white powder in a few recipes and had good results. Thanks for the quick response, Carolyn. I’m going to go make these muffins right now! I was wondering how I’d get by without my Starbucks pumpkin muffin! Now I know!!! 🙂 made these tonight! DELICIOUS!!! I made these today, and they are nothing short of amazing! Truly one of the most delicious LC GF treats I’ve ever enjoyed. I skipped the pepitas (didn’t have any). Thanks for sharing. OMG these are to die for! I wasn’t sure what you meant by pepitas, since in Spanish that can refer to the seeds of any plant, but assumed it was pumpkin seeds and used those and they tasted delish (ended up eating the leftovers by the handful, haha). thank you for all your recipes, they bring such joy to my life! It was pumpkin seeds indeed! I didn’t know that it referred to any seed, that’s great info! Thank you for your kind words, Tamara! Glad you liked them. Hi Carolyn! I made these last weekend and they were delicious, however, I had a problem with the muffins “falling” in the center once I took them out of the oven where the cream cheese filling was. Do you think I didn’t put enough batter on bottom and too much on top? These are prone to falling a bit anyway, but it might be that they needed a slightly longer cooking time in your oven. Okay, that definitely shouldn’t happen and it certainly didn’t happen to mine. What kind of almond flour did you use? An egg might help but it changes the consistency too. I use Honeyville almond flour. How much batter did you put on top? I put an icecream scoop worth, so maybe it was just too top heavy? I used Honeyville too. I put more batter in the bottom and less on top. l will try that when I make them again. Regardless of how they looked, they were absolutely incredbly hmmm hmmm good!! Is the whey protein necessary? Are there any substitutions for this (not protein powder)? I see this a lot in low-carb recipes but it just doesn’t agree with me. TIA! The dry protein helps the baked goods rise and hold their shape (a replacement for gluten). So yes, it’s important but you can sub in some egg white powder (just dried, powdered egg whites) instead. You can skip it but they may fall more than normal. 1) These take a little long for me to make. To be fair, i am not a natural cook. But if u are planning to make this give yourself about 1hour and a half from start to finish (taking them out the oven). Its not hard to make, just a little long. 2) You absolutely dont have to make/use pepitas. I never did. Muffins still taste amazing. 3) You absolutely do not have to use 8 oz of cream cheese. I use the cream cheese to fill the muffins AND ice the top once its out the oven, and i still never finish it. My family doesnt like frosting so its really only me the puts it on top. 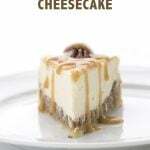 Cut the cream cheese in half (so 4 or 5 oz) and use 1 tablespoon of cream instead of 2. 4) It could be sweeter. With just 1/4 cup of sweetner, the end result does taste a little “oat bran” which is sometimes ok with me, other times i want it sweet! I never used Swerve granular, i use Xylitol and i put in a little more than 1/4 cup. So maybe 1/3 to 1/2 a cup. I use 1/4 of Swerve powdered for the cream cheese though. 5) Add nutmeg!! Makes it even more tasty. Can you use the green can gelatin instead of unflavored protein powder? Or…vanilla protein powder…?! I don’t know if gelatin would work, but the vanilla would be fine. Cut out any additional vanilla. OOOOOPS…just saw this! Thank you! Thank you for developing this recipe and sharing it. Thank you also for making it printable. No need to apologize. I’ve had some scares with my husband and I know exactly how you feel. Sending warm thoughts and prayers for both of you. My batter is very stiff, is that okay? Did I do something wrong? What consistency should the batter be? Low carb, gluten-free batters are always stiffer/thicker than their conventional counterparts, but if it’s too thick to spoon into the pan, you can thin it out with a little almond milk. Hi! Can I use almond meal instead of flour? Will it affect the texture? Yes, the texture won’t be as good. But if it’s all you have, then you should use it. Can i ask the difference between almond meal and almond flour? I’m thinking i should know? Also, these are the freakin bomb. Almond meal is much more coarse and often doesn’t make as nice muffins. Sorry, one more little diddy… i was so mesmerized by the amazing fresh spices that i doubled the amounts plus added nutmeg, too! They are cooling as i write and wow they smell so delicious. I seriously can’t get over how awesome this recipe is. (and all of your other recipes!) Thank you so much for sharing. Your attention to the details make your recipes a step above anything else out there! Ok i swear this is my last comment. We just downed two muffins and my sugar-lovin husband loves them! The first batch i did was overcooked a smidge so be careful of this to anyone interested. This batch with double the spices is seriously sweater weather heaven! I don’t have protein whey. Do you think the muffins would turn out ok without it? They may not rise as much but they will taste great! I tried to check through all previous questions, but this is a popular recipe!!! I’m wondering what is the benefit of allowing the pumpkin to drain on paper towels?? I’ve never seen that before. These alternative flours usually make baked goods so dry anyway, it seems counterintuitive???? Almond flour is anything BUT dry, as it has a great deal of fat in it, and baked goods made with it can be overly moist. I think you are thinking of other GF flours like rice flour. So drying the pumpkin out a little can really help when working with almond flour..
can Neufchatel cheese be used instead of cream cheese? Ok, yum!!!! I think my favorite thing about all of the recipes of yours that I’ve tried is that they’re not super sweet. 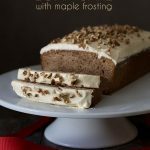 I love that these are subtly sweet, moist and really delicious! I did not do the topping only because I didn’t feel like going to the store and I needed a good, high-protein snack for the kids before volleyball. These really hit the spot! Both girls won their volleyball games… Coincidence? I think not! Haha, yay for the volleyball games. I just updated this recipe RIGHT NOW, as a matter of fact. I skipped the topping and simplified the recipe a bit, so I hope you will come back and check it out! 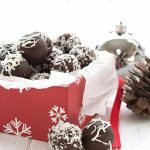 Carolyn, I have been making these for a couple years now, even in the “off” season! I have taught my 12yo daughter to make them and she does a fine job. We always double them as they go so quickly! I leave the cream cheese out of some for my hubby as he is not a fan, but loves the pumpkin.I also use walnuts on top as I rarely have enough pepitas around. I think we need a batch today! Ha I left the cream cheese center out of 6 of these and put chocolate chips in for my kids. They loved them that way! Carolyn I just made these muffins today and they are delicious! Thanks for sharing your recipes with us! I love every one of your recipes I’ve tried so far. Looking forward to trying more! Thank you. I use parchment too, that’s what you see here. I use the ones from Paper Chef. My hand mixer is just a cheapie Proctor Silex one. Made these today. Wonderfully delicious! Thank you for another winner! Yum! Can’t wait to try these. Think almond milk can be used in place of the heavy cream? For the filling? Yes but probably half the amount as it may make it too thin. Oh Carolyn, these look fantastic. Watching the video, I wish I had these made for breakfast this morning! So glad it’s pumpkin season! This recipe is incredible! My husband, who has had a life-long hatred of pumpkin, loves these muffins. He’s a good sport and has always tasted all of the pumpkin recipes I have made. This is the first one he has ever liked. My daughter and I both love pumpkin and, of course, we love these muffins. I’m planning to make these at Thanksgiving when my grown kids will be here. But I will be making them a lot before Thanksgiving. I have cream cheese softening on the counter so I can make another batch today. Thank you so much for all the wonderful recipes. I’ve made and loved many of them. I’m anxiously waiting the upcoming release of your cookbook. I could not go a day without using one of your recipes. Thanks for picking a great one today. LOVE pumpkin this time of year! Can these be made without the whey protein powder? Yes but they may not rise as well. Has anyone tried these with SF chic chips? I love pumpkin bread/muffins with chocolate chips! Carolyn, thank you so much for posting a video! Usually I skip videos, but was glad for one this time. I made these in muffin top pans (sans cream cheese) and had difficulty determining how many tops to make, because guessing how much a batter will rise while baking is always a crapshoot for me. Seeing how full your muffin cups were was very helpful. My batch is still in the oven, but the batter was delectable! My tops are out of the oven, and they are fantastic! I’m going to make the cream cheese mixture and use it as a spread for them, but they’re great unaccompanied. Thank you, Carolyn. I was able to make 16 3″ muffin tops, in case anyone wonders about doing the same. These muffins were a huge hit at our house!! My husband ate 4 of them and said they were the best muffins I ever made (this from a guy who doesn’t bother if it’s not chocolate!!) My son said they tasted like a cupcake with the frosting inside. Not a single one was left. Thanks for the great recipes. It makes our lo-carb life so much easier. Wow, that’s wonderful to hear! Carolyn – do you have to use the protein powder in these? I do not buy protein powder because they all taste so nasty. Any substitute or can it be omitted? 1/4 c might be too much to omit. You don’t but… it rises better with it. That said, when you use unflavored protein powder in a recipe like this, you totally won’t taste it at all. I made this last night. I know a little late to the game, but oh my goodness, YOU’VE DONE IT AGAIN!! These are delicious. Part of me wants to share with family, the other part says, make your own..you’ve all poo poo’d my LC endeavors. Anyway, we will be enjoying these all pumpkin season! Thank you!! In the old version, yes, it had pepitas but most people didn’t even know what they were and I found myself explaining them ALL THE TIME. Anyway, you can just simply press a few on top of the muffins before baking. 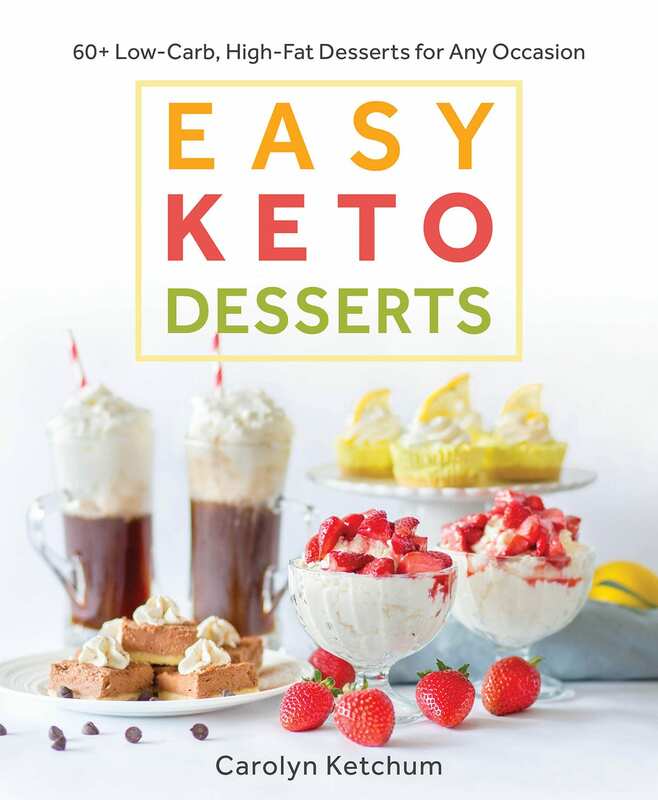 This amazing creation of yours is one of the best Keto desserts I have ever had! Honestly just so so fantastic! I will make these over and over again for the rest of my days! Wow! I am in awe. Perfect dozen mesurements and tastes like a naughty muffin that I would spend $5 on and then be miserable. I might just hide them from my children, they are that good! Thanks for all you do and your dedication to making amazing food for us to make and enjoy! Cheers! So glad you like them so much! I have read through all of the comments and realize this is an older post so the information may be someplace else, can these be frozen and reheated? I am the only pumpkin eater in my house. Yes, they freeze very nicely. 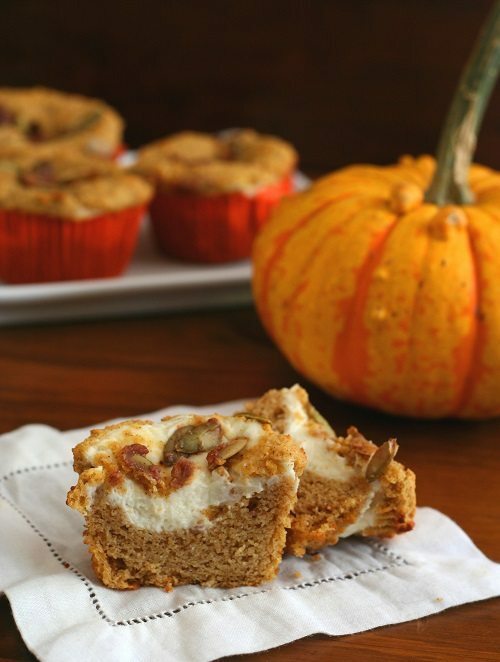 I absolutely love these Pumpkin Cheesecake Muffins. Do you happened to have a good chocolate muffin that would work the same way to stuff that yummy cream cheese in the middle? Thanks so much. Love love love your blog. These muffins are so amazing. Wonderful flavor and texture. I’m bringing them to my daughter’s home for our early Christmas weekend. They don’t eat low carb but they are gluten free. They will love them. Thanks AGAIN Carolyn! Hi I’m so very new to this woe.. like only 5 days in! I’m wondering if the carb count is net carbs or total carbs? 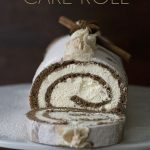 I haven’t made this yet and don’t have all the ingredients to calculate.. but it’s on my to do list! I’m on a mission to prove to my very “meat and taters only” family that this woe can still be great! Thank you for all you do! Total carb count. Good luck on your keto journey! Which cookbook are these in? I bought the one advertised above and it is not included. I LOVE LOVE LOVE all your recipes. Thank you for going before us. Hi Andrea, most of the recipes on this blog are not in a cookbook. Publishers want new recipes, not ones that are already published. Has anyone tried freezing these? I am thinking maybe not with the cream cheese filling. I just made some pumpkin soap and only needed 1/2 cup and had a large can. While I might go ahead and make another bath of soap this week with another 1/2 cup, that still leaves a lot. They freeze very well actually. I made these last weekend and took to a friend’s house for girls game night. Everybody loved them, none were doing Keto, except me. Going to make another batch to take on a trip next week. I left out the protein powder, but everything else was the same. Great recipe, I just love fall flavors! Thanks for sharing. Can the whey protein powder be substituted for something else? My stomach doesnt agree with it. Egg white protein works well. Positively scrumptious, I am so craving these right now! These are amazing! Thanks os much for sharing! What a fun and tasty surprise! These look soooooo good! I can’t believe they are low-carb!!! In the oven right now! Based on the consumption of batter our family already approves! DELICIOUS! You can never go wrong with pumpkin + cream cheese! Thank you!! I don’t have protein powder, can I use collagen powder? No, collagen makes baked goods like these very gummy. Can you put something instead of whey protein in the recipe? You can skip it or use a different kind of protein powder. But if you skip it, they will sink more and wont’ hold together as well. Absolutely fantastic muffins!! Thank you sooooooo much for doing all the hard work for us. I made them exactly as you said. Baked them for 23 minutes. My only question is – my muffins seemed to come out just a little dry – IF you were to make them just a bit more moist – could you suggest what I should do? i.e., add more butter or cook a few minutes less or cut back on the almond flour, cut back on the temp, etc. Just not sure what to do to make them a bit less dry and I’ll do whatever you suggest and let you know the results. 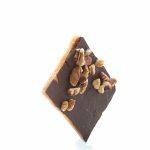 Don’t get me wrong – they were fabulous and I LOVE the cream cheese middle – what a super treat! I plan to make another batch tomorrow and another in 3 days for a ladies fellowship, so I’m hoping you’ll read this soon and be able to reply. Really appreciate your talent!!! THANKS MUCH!! What almond flour are you using? These are definitely not dry so that might be the issue. I used Bob’s Red Mill Super-Fine Almond Flour. I have 4 pounds of it so I must use it. I do prefer Honeyville but don’t have time to get it. Should I just use less? Only the muffin part is a bit dry – the cream cheese is delightful!! You’re the expert so I’ll try whatever you think is best. Just trying to figure out if adding more fat would help or use less of the dry ingredient. Appreciate your help and suggestions!! No I always use Bob’s so that’s not the issue. I think you just need to bake them less, since mine are never dry. Made them a second time with just a little more pumpkin and cut the baking time to 21 minutes and they came out perfectly! And – full disclosure – this second time I did make them more sweet by adding 3T of Natural Mate Sucralose All Purpose Sweetener and 20 drops of EZ-Sweetz Liquid Sweetener and I used 8 oz of cream cheese for the delightful center filling surprise. They are just divine!! I served the muffins as a perfect Fall dessert – more like a cupcake. Thanks again for all your fabulous recipes!! I’d love to try these but I don’t use protein powder. Is there anything I can use to substitute the protein for powder? Thank you! I love your recipes! Please understand the science behind banking. Gluten is a protein and in its absence, another dry protein (i.e. not more eggs because that throws off the liquid content) helps the baked goods rise properly and hold their shape. You can skip it but your results may suffer.